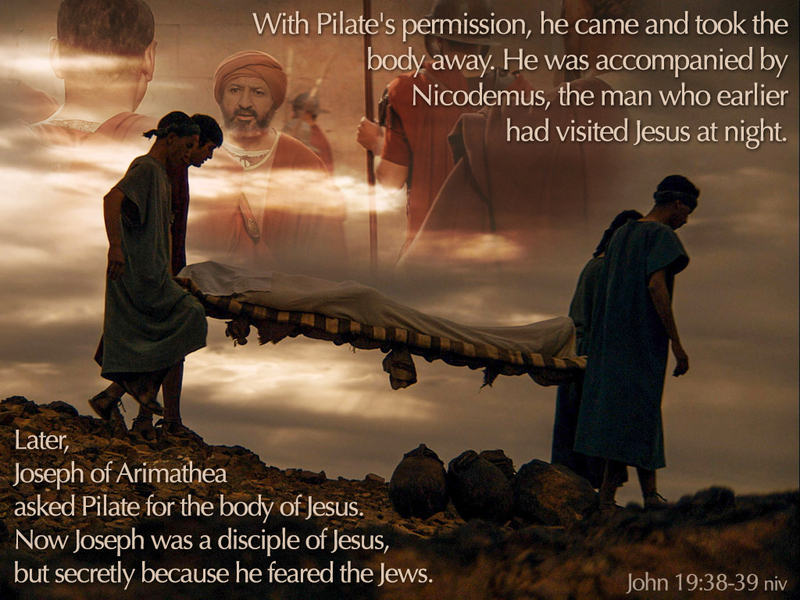 The writer has placed these verses side by side, attributing the same trait of 'secret discipleship' to both Joseph of Arimathea and Nicodemus. Both were members of the Sanhedrim, the highest council of the Jews, which oversaw all religious matters. Both believed that Jesus was the messiah, both kept their faith a secret, due to fear of rejection / condemnation from their fellow priests in their society. Now, at the crucifixion of Jesus, these 2 rich men have been spurred into courageous action, demonstrating the value they had for Christ's person and doctrine.